Description: This pack contains 10 Semi-Tractor Truck Vehicles (4 with trailers). Description: This pack contains 3 Farming Vehicles (Loader, Tractor and Old Jeep). The Loader Bucket is an attached fully animated Prop accessory that can also be used on other Vehicles. Description: This pack contains 5 Public Utility Vehicles (Road Grader, Electric Utility Truck, Dump Truck, Garbage Truck and Vacuum Truck) including animated Drivers. The Road Grader Shovel is an attached prop that can be rotated and lowered. Description: This pack contains 3 Charter Bus Vehicles (two Charter and one generic City Bus). Small Crowds Traffic are a great value and an amazing time saver when you want to populate your City Streets and Parking Lots ! 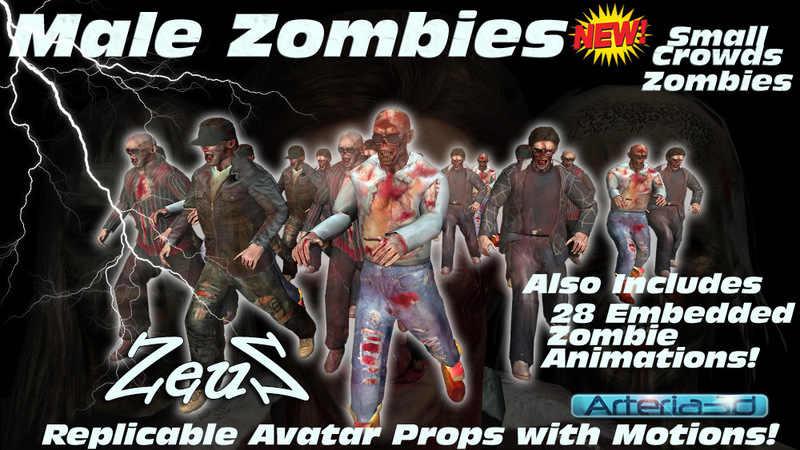 Description: Small Crowds are a revolutionary new concept has converted 3D Character Models into iClone Props with embedded animations. As animated Props, you can easily multiply the Characters in your scene just like you would do for normal Props and benefit from the fact that cloned object instances share common resources thus allowing you to pack a very large number of animated Characters in your scene. Furthermore, each Character uses a very small polygon count while maintaining excellent visual quality for close-up shots. You can even use the iClone "Multi-Duplicate" tool to clone your Characters along a vector or circular path and edit the applied animations on the timeline to add randomness to each character move. Description: Small Crowds are a revolutionary new concept whereby has converted iClone G5 Characters to Props with embedded animations. As animated Props, you can now easily multiply the characters in your scene just like you would do for normal Props and benefit from the fact that cloned object instances share common resources thus allowing you to pack more characters in your scene. Furthermore, has carefully optimized each mesh to reduce the overall polygon count to less than 15K per character while maintaining maximum quality so that the characters still look good in close-up shots. You can even use the iClone "Multi-Duplicate" tool to clone your characters along a vector or circular path! Each Small Crowd Base Character can be further modified by re-texturing or by attaching additional props to its skeleton base (e.g. attaching Hair to the Head Bone of the Prop or attaching prop accessories such as a Bag to the Hand bone). Finally, each applied animations can also be edited on the timeline. 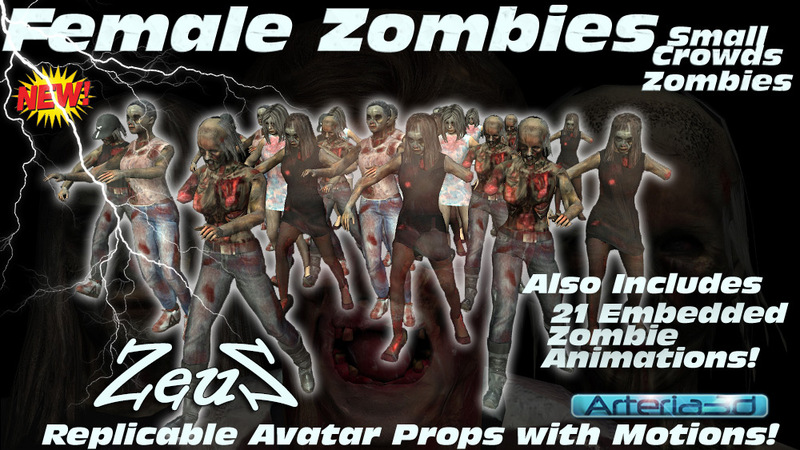 This pack is supplied with 6 completely different Medieval Character bases (3 Male and 3 Female), 20 high quality Idle, Argue and Talks animations (11 Male and 9 Female) and 4 Pre-Assembled Small Crowds. The Clothing layer for these characters was designed by an award winning fashion designer using Marvelous Designer advanced fashion design tools, polygon reduced and rigged to perfection. Furthermore, the materials are presented on separate pre-cut layers making it extremely easy for re-texturing.